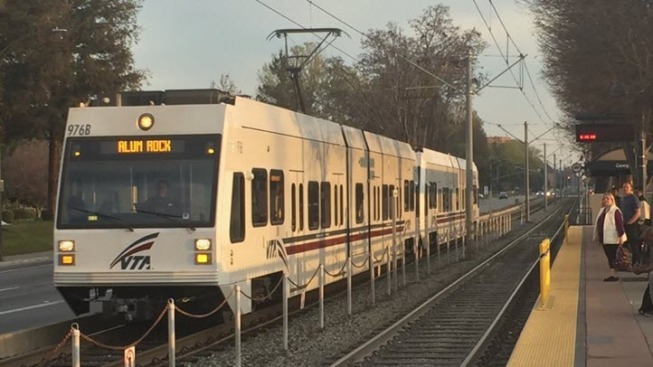 Santa Clara County sheriff's deputies are investigating a fatal accident involving a pedestrian and a VTA light trail train in Campbell on Thursday. Systemwide delays were expected after the crash near Campbell Avenue and Civic Center Drive around 2:45 p.m., officials said. Paramedics on scene discovered that the pedestrian had died, according to fire officials. A bus bridge was set up between the Winchester and Bascom stations.